The Philippine Migrants Rights Watch (PMRW) held its annual assessment and planning last March 11-13, 2013 at the Voyager Hotel, Puerto Princesa, Palawan. The hotel is owned and managed by a former seafarer. In attendance were PMRW regular members namely Fr. Edwin Corros of CBCP-ECMI, Dyz Pumarada of SLA, Fr. Graziano Battistella and Fr. Valentin Mendoza of SMC, Ellene Sana of CMA, Sr. Angie Balmes of SCPM, Leonardo of the AOS-Manila and Mel Nuqui of DAWN. Unfortunately, Jigger Latoza of the Rada Human Rights Bureau of the University of San Agustin, Iloilo City failed to join the meeting since he got sick. On the first day, a discussion of the PMRW 2012 year-end report was made highlighting on the organization’s accomplishments as a network that promotes the rights and welfare of migrants and members of their families. The PMRW 2012 Financial Report was also tackled. In a report presented by Mel Nuqui, PMRW president, the year 2012 is considered a very productive year for the organization. Various fora were held on issues concerning migrants such as Anti-Violence Against Women and Children, Social Security Protection of OFWs, Protecting the Rights and Welfare of Filipino Domestic Workers and Strengthening Partnerships between Overseas Filipinos and LGUs Towards Sustainable Development of Communities. A Forum on Reintegration and Development: Partnership and Challenges was even held separately both in the cities of Cebu and Quezon City. Part of its government-civil society collaboration, the PMRW continued to actively engage government in dialogues and consultations. Members of the PMRW were invited to Congressional and Senate hearings as resource persons to shed light on issues related to migration and overseas Filipinos. The organization also lobbied for the ratification at the Senate of ILO Convention 189 on Decent Work for Domestic Workers on August 26, 2012 and the Maritime Convention of 2006 in September 2012 and the passage of the amendments of the Anti-Trafficking Law and the Overseas Voting Law. Aside from the quarterly newsletter, “The Migrant Watch,” PMRW also continues to maintain, update and publicize on its website, www.pmrw.org.ph up-to-date information about its activities and advocacies. With the importance of having an online social media presence PMRW now have its own facebook page that was created last April 2012. The link can be found here - https://www.facebook.com/pages/Philippine-Migrants-Rights-Watch-PMRW/380312815323937. Ten posters with various migration themes were printed as part of PMRW’s advocacy campaign to further promote and protect the rights of migrant workers. The posters were launched during the PMRW Poster Session at the 5th World Social Forum on Migration held at Miriam College last November 2012. Copies of posters were distributed to the participants. 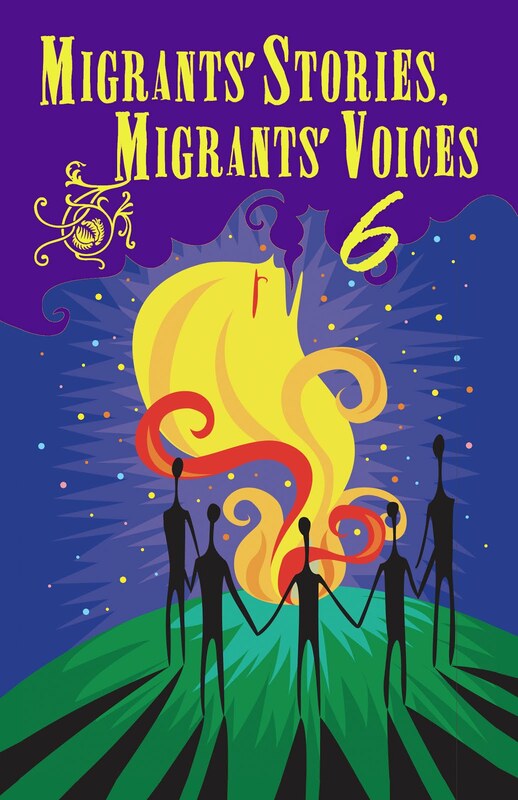 On its December 18 forum, PMRW launched the fourth edition of the book entitled, “Migrants’ Stories, Migrants’ Voices. Ten stories written by migrants and members of their families were featured in the book. Some copies of the book were distributed to the writers, those who attended the forum and other friends. The stories are also available online at the http://www.abs-cbnnews.com/pinoy-migration portal. Two associate members joined the PMRW in 2012: 1) Migrant Workers Concern Desk, Taiwan and the Scalabrini International Migration Institute (SIMI), Italy. Inspite of the busy schedule of the PMRW’s annual assessment-planning, members took the opportunity to find time to relax and admire the Underground River in Sabang, Puerto Princesa, and had an encounter with the fireflies along the Iwahig river.